The Chevrolet Malibu boasts a decent design, good crash test ratings, high reliability, average comfort features, and satisfying performance. Those are reasons why it has garnered above average reviews. Recently, the Sport Package for the 2017 model of the car was announced. According to source, the new Sport Package only offers aesthetic updates to the LT trim of the 2017 Chevrolet Malibu. Inside, the steering wheel and shift knob are wrapped in leather. Outside, the Chevy Malibu receives a new rear spoiler and 18-inch 10-spoke wheels. The Sport Package costs $875. Despite the subtle upgrade, the package will surely bring in a sporty appearance to the midsize car. 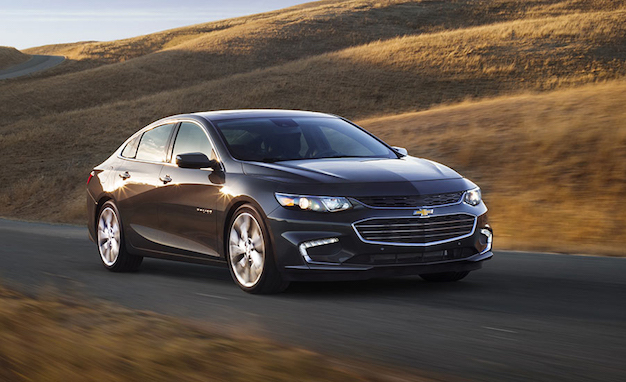 It should be noted that the Chevrolet Malibu already ditched its two sub-trim configuration. Instead, the range streamlined them into the LT trim. The 2017 Chevrolet Malibu LT carries a 1.5-liter turbo four-cylinder engine. The output of the power unit is 160 hp. All that is distributed via a six-speed automatic transmission gearbox. The Malibu L and the LS also share the same spec. Buyers who want more power from their car can opt for the Malibu hybrid with 182 hp or the Malibu Premier with 250 hp packed in its 2.0-liter turbo four-cylinder engine. From the eight-speed automatic gearbox of the Malibu Premier, the new Premier model upgrades it to the nine-speed unit. The other standard updates in the Chevy Malibu LS and LT lineup include the integration of the Apple CarPlay and the Android Auto into the car’s seven-inch touchscreen display. Another inclusion is the Teen Driver system of GM. The system lets parents monitor the driving habits of their teens. The starting price of the Chevrolet Malibu is $22,555. That is for the L trim. The Premier trim is tagged at $31,850 while the LS and the LT are each worth $105 more than their predecessors.